A transformational process that reconnects couples and gives them back that loving feeling. This powerful personal development program reconnects and puts relationships back on track, rekindling the connected feelings that were there at the beginning of the relationship. The program promotes deep communication that facilitates a trusting secure and loving relationship. Giving you both the tools that will help young your partner with life inevitable challenges. This one hour a week, six-week program can be done in the privacy of your own home. This can either be done live or can be rewatched at a time that suits you both. Once a week you will be given proven relationship education based on sound research and then you will be given exercises to complete. Short exercises with a big impact. Opening up a way of communicating so your relationship needs can be met. This is not therapy but a deeply successful approach that shows you how to build and keep a loving relationship alive. If you are wanting your relationship mojo back or are fed up with the same arguments that don't seem to go away, then this program is for you. This program is also perfect if you have a partner who is reluctant to go to counselling. Curious? Give us a call and we can tell you more about this cost-effective program. 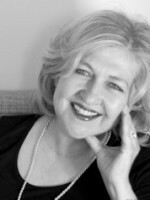 Your host Pam Custers is a highly experienced psychotherapist and has featured as a relationship specialist in a number of TV programs and magazines. She is known for her warmth and humour.